Oligoarticular juvenile idiopathic arthritis (formerly called pauciarticular juvenile idiopathic arthritis or pauciarthritis) is a subtype of juvenile idiopathic arthritis which involves fewer than 5 joints. Oligoarticular juvenile idiopathic arthritis is the most prevalent juvenile idiopathic arthritis subtype. It comprises 30% to 60% of all juvenile idiopathic arthritis patients in North America and Europe. Persistent oligoarthritis - There is no additional joint involvement beyond the initial 6 months of illness and symptoms. Extended oligoarthritis - Additional joint involvement occurs after the initial 6 months of illness and eventually more than 4 joints are involved. About half of children with oligoarticular juvenile idiopathic arthritis develop the extended type 4 to 6 years after disease onset. While there is no solid way to predict which children will go on to develop the extended type, there are disease characteristics that seem to increase the likelihood, including symmetric joint involvement, ankle or wrist involvement (or both the ankle and wrist), and an elevated erythrocyte sedimentation rate in the first 6 months. The peak age of onset of oligoarticular juvenile idiopathic arthritis is 2 to 4 years old in Caucasian children from the United States and Europe. Girls are more commonly affected than boys (3 to 1). 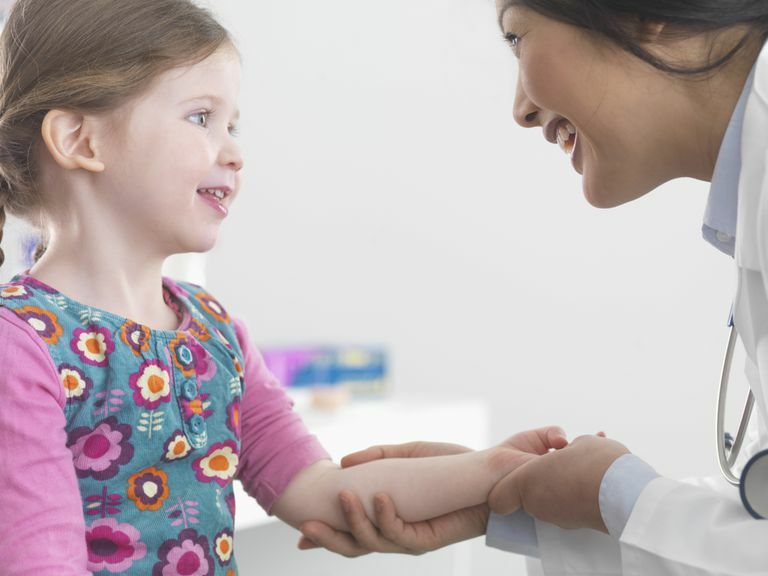 The onset of oligoarticular juvenile idiopathic arthritis is much less common in children who are over 5 years old and onset is rare in children who are 10 years old or older. Usually, with the onset of oligoarticular juvenile idiopathic arthritis, there is asymmetric joint involvement which affects one or two large joints. The knee is the most common joint affected. The ankle, wrist, and digits are the next most commonly involved joints. Systemic symptoms (e.g., fever, rash) are rare, as is involvement of the hip and back. If a child has systemic involvement or involvement of the hip or back, a re-evaluation is indicated and reconsideration of the diagnosis. While you might expect pain to be the most pronounced initial symptom of oligoarticular juvenile idiopathic arthritis, typically onset is more subtle. A parent may notice that their child has a limp, a reluctance to walk or run, or swelling of the affected joint. Approximately 70% to 80% of children with persistent oligoarticular juvenile idiopathic arthritis and 80% to 95% with extended oligoarticular juvenile idiopathic arthritis have a positive ANA test. The ANA titers are typically low to moderate. In ANA positive patients with oligoarticular juvenile idiopathic arthritis, there is a greater risk of developing uveitis. Also, most children with oligoarticular juvenile idiopathic arthritis have normal or mildly elevated CRP and sedimentation rate, normal white blood cell counts, and anemia (mild). Regarding uveitis, there are laboratory tests that help predict the severity of anterior uveitis in children with oligoarticular juvenile idiopathic arthritis. The tests do not predict the onset, however. The tests may include an a2-globulin level in the serum, as well as HLA antigens (HLA-A19, HLA-B22, HLA-DR9). The treatment of extended oligoarticular juvenile idiopathic arthritis is much like that of rheumatoid factor positive or rheumatoid factor negative polyarticular juvenile idiopathic arthritis. The similarity in treatment is due to the polyarticular involvement. Azulfidine (sulfasalazine) and Plaquenil (hydroxychloroquine) may be used together as an alternative plan. Remission (either partial or complete) of oligoarticular juvenile idiopathic arthritis can be achieved in 60-70% of extended oligoarticular juvenile idiopathic arthritis patients with the use of methotrexate. Kelley's Textbook of Rheumatology. Elsevier. Ninth edition. Chapter 107. Treatment of Juvenile Idiopathic Arthritis. Hsu, Lee, Sandborg. Oligoarticular juvenile idiopathic arthritis. UpToDate. Pamela F. Weiss MD. 12/09/15. OrthoInfo. Juvenile Arthritis. September 2013. Early predictors of the severe course of uveitis in oligoarticular juvenile idiopathic arthritis. Zulian E. et al. Journal of Rheumatology. November 2002.